Oracle has come a long way from being an database company to an enabler of Digital Transformation. The company first transformed itself, moving from pure on-premise solutions to the cloud. Along the years it acquired key companies like i-flex and developed industry solutions. 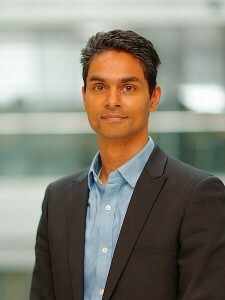 In an hour-long chat with Digital Creed, Neil Sholay, Vice President of Digital, Oracle EMEA elaborates how the Oracle Digital Business Group is helping governments and private enterprises around the world. Q. Where are organizations in their digital transformation journeys today? How do Indian companies compare to what you see in Europe? Neil: What I see in Europe is not unlike what I see in India. There are incumbents who have good experience building their customer experience platforms, with good websites and excellent commerce, and good campaign management. Then, along came the disruptors: Uber, AirBnB and others. It sent a shockwave across some of the incumbent markets. Some of those disruptors, like AirBnB, are actually based on Oracle’s Marketing Cloud. It has 29 million customers everyday across 190 countries. And AirBnB’s marketing team is just two people! They may have increased it to four now. But the point is, if you get the digital platform right, you can focus on the 20% that is unique and that is going to make the experience wonderful. The 80% you can automate. We are seeing the return of the incumbents. This is the year where I am seeing the big incumbent brands coming back strongly. They are coming back with digital experiences and products and services that are at least equal to those disruptors, if not, better. And many of those incumbents have historically been customers of Oracle and we work with them. For instance, Tesco is a customer of Oracle and they are building their employee experience on Oracle. Unilever is another example. Q. Which are the sectors that you will focus on in India? Could you cite some projects in the private sector? The areas where we focus on are insurance, retail, pharma, hospitality, travel and tourism. We will be very selective in retail banking. In hospitality, we acquired a company called MICROS that manufactures point-of-sale and loyalty systems. These machines are widely used in the hospitality industry around the world. So we have a huge market for bringing the front-end and back-end together. For instance, linking campaign management and marketing automation with loyalty and point of sale. Oracle has a core banking system that was built here in India (it is the erstwhile i-flex, and now Oracle Financial Software Services). We have worked with the private companies in India for years. Some of the companies we have been working with are Aditya Birla Group (Aditya Birla Online Fashion), Reliance Commercial Finance and MakeMyTrip.com. We are now working to coordinate all the best practices that we gathered from around the world and bringing it back here to India. And we have some innovation here in India too, particularly around IoT. We already have the people for this and it is just a matter of re-tasking them. There will be partners involved too. Q. Which industries are ahead or behind in their digital transformation journeys? In Europe, retail banking was a laggard. The industries which were ahead were insurance, travel, tourism and hospitality. The government was a surprise — we saw government intervention in certain European countries. Examples are the UK with the G-cloud, the Nordics (Scandinavia, Sweden, Finland, Norway) and Spain. We saw governments there pushing broadband and mobile networks — and government digital initiatives, where it invests in education. The governments there are also building innovation hubs and incubators. Here are some examples from the UK. We worked with the DVLA (Driver and Vehicle Licensing Agency) a couple of months back. We built a cloud platform for them. There are cameras on the roads with automatic number plate recognition. If anyone is speeding, their number is captured. You also pay for licenses and taxes using electronic payments. And that has eliminated a lot of paper and forms that have been used for years. These are the kind of things you need to do to drive the transformation at a national level. Q. How are you helping drive digital transformation in India? How will you work with the Indian government to enable it all? We will work with the Indian government at both national and state levels on projects similar to what we have done for the UK government. We will work with the government to understand which are the areas they want to accelerate in terms of digital. In Japan, we work with SoftBank and the Tokyo State, helping in the electrification of mopeds, on a rental basis. Consumers pay for a journey instead of owning the moped. That could be extended to other mode of transport. Similarly, we can help private transportation companies in India with the digitization of their operations, working on new business models like rent-a-car or rent-a-truck. That’s the kind of discussion we want to engage in with the Indian government. Q. Can you tell us more about the Oracle Digital Business Group? The Oracle Digital Business Group was set up four years ago, when we could see that the world was moving to digital. The charter of this team was to work with line of business heads, to establish relationships with CIOs. We spend a significant amount of time working with Chief Digital Officers, CMOs, heads of innovation, heads of strategy, and now heads of HR and finance. The CIO is still involved but discussions tend to be initiated from line of business. The team is a mixture of digital strategists, digital architects, UX designers, and people from marketing.